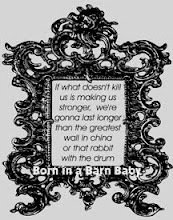 Born in a Barn: I will.. I will be better not because of genetics, or money or that I have read more books but because I have struggled and toiled for this child. I have longed and waited. I have cried and prayed. I have endured and planned over and over again. I will be happy when I wake in the middle of the night to the sound of my child, knowing that I can comfort, hold and feed him and that I am not waking to take another temperature, pop another pill, take another shot or cry tears of a broken dream. I count myself lucky in this sense; that I have been given this insight, this special vision with which I will look upon my child that my friends will not see. Whether I parent a child I actually give birth to or a child that I am led to, I will not be careless with my love. 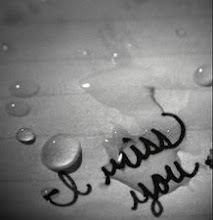 I am a better wife, a better aunt, a better daughter, neighbor, friend and sister because I have known pain. I have prevailed. I have succeeded. I have won. I have learned to appreciate life. Yes I will be a wonderful mother.